On Friday, dozens of Gators made sandwiches, packed lunches, and created cards to deliver to those in need in Venice. Saturday morning, a group of about fifty of us drove to Venice to hand out the lunches, cards, and hundreds of donated socks. 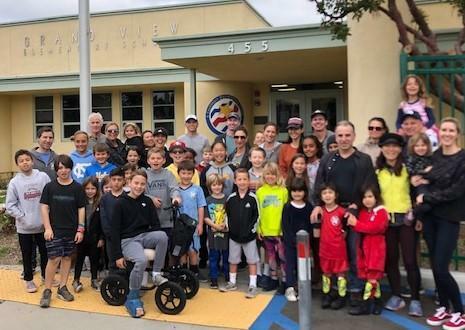 Special thanks to David Gendron and the Manhattan Beach Rotary Club for adding 228 pairs of socks to the hundreds of pairs donated by our Gator families. Wow! The men, women, and families we met in Venice smiled with gratitude and warmly thanked us for our generosity. Our hearts were filled over and over again. Thank you for giving back, Gators! Click on the title above to see additional pictures!